It was a fulfilling Sunday yesterday as I picked up the camera after ages. I had something in mind but was not able to get the effect I wanted to, so I made of best of the what I could. I wanted to light up the bottle from the bottom but the ambient light was too much to have the effect I imagined. I guess I will try again next week. This made me wonder about the colour of Whisky bottle. Beer is usually kept in green or brown bottle to save it from sun light as the beer exposed to sunlight has a reaction called "skunking" and this is why Corona Beer is called Skunked beer since it comes in clear bottles. 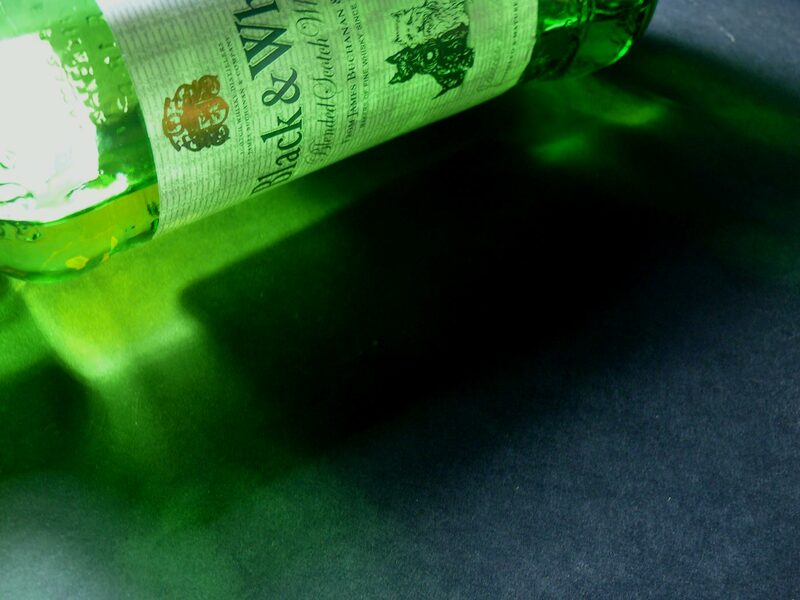 Why is the bottle of a whisky that has white and black in it's name green? The box of the bottle and the lable has only black and white colours but the bottle is green. Why?